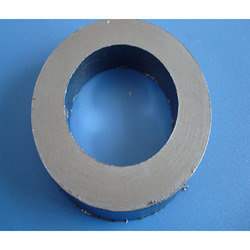 Leading Manufacturer of die molded rings from Khanna. Maximum outside diameter Up to 252"
Die Molded Rings designed in ferrous and non-ferrous materials to ensure to add durability and strength. This is developed with the modern forging processes to design controlled grain flow of the rings that further add strength. This is available with the impact and fatigue resistant design for maximum efficacy for years to come. Looking for Die Molded Rings ?